Time to say sayonara to the work week and hello to the weekend. Whatever you have lined up, here's one thing you don't have to worry about: your outfit. Here are three weekend activities and how to dress accordingly. Comfort is key when it comes to conquering your weekend to-do list. 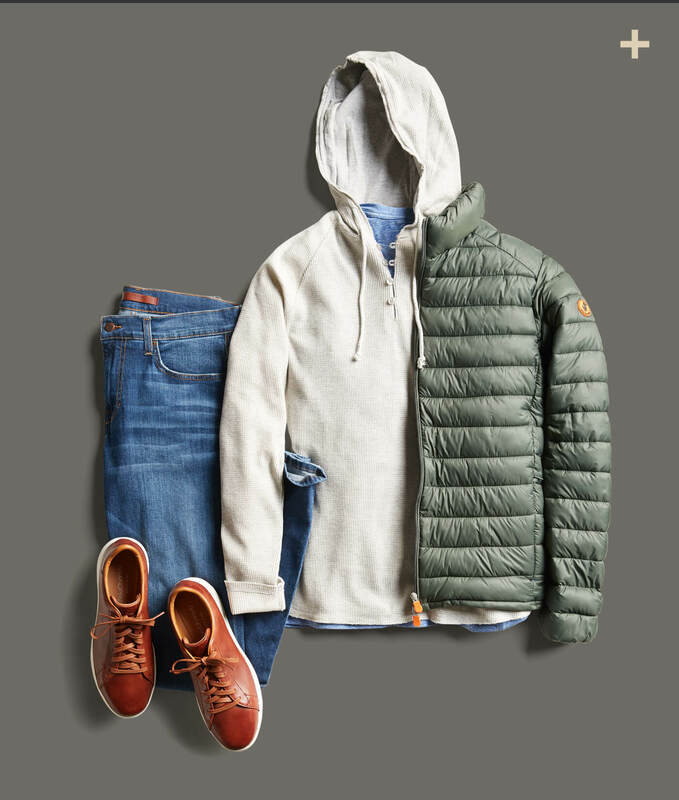 Whether your days “off” consist of getting the car washed, shuttling kids to soccer games or working on the house, grab a relaxed pair of jeans, a crew neck T-shirt and a lightweight puffer jacket to keep warm. Grab a pair of sneakers and you’re out the door. Cheap drinks on the docket? 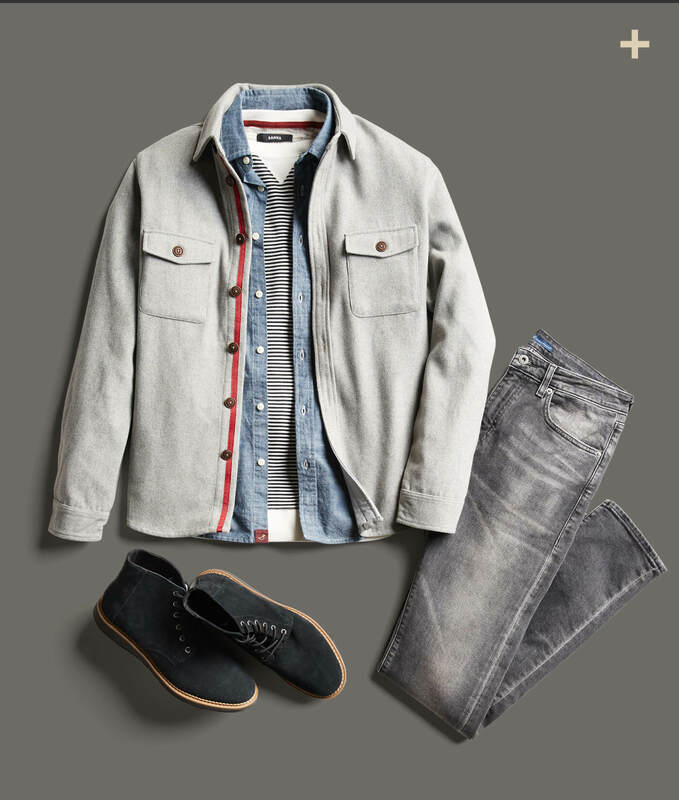 Trade in slacks for a pair of grey jeans (black works too) and layer over your favorite sweater with a chambray button-up under a heavyweight flannel. Cheers! You don’t have to be the jersey-wearing, face-painting type to prove you’re an avid fan. While team colors are a general requirement, bad style shouldn’t be. 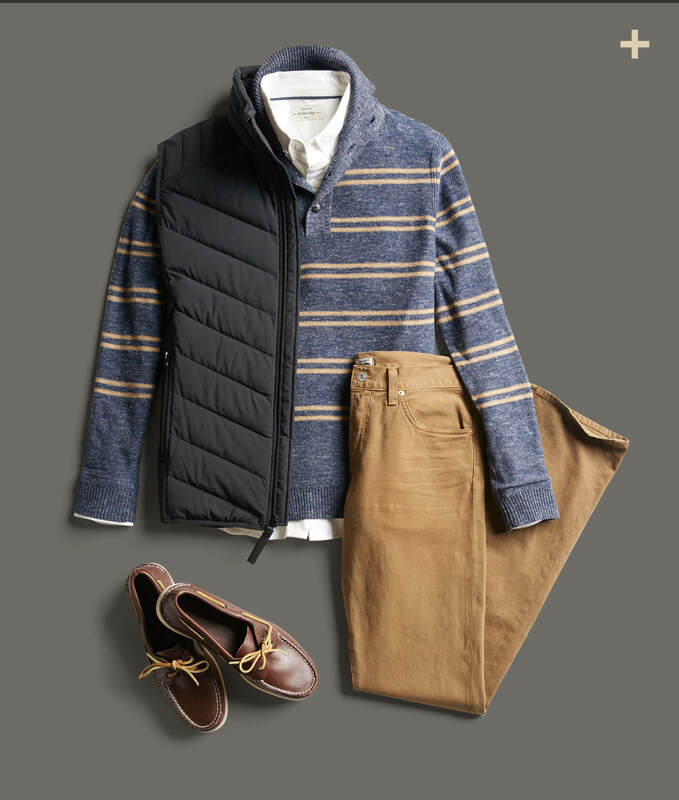 Go for a pair of khakis paired with a mock neck sweater to cheer on the team. If you’re feeling like an extra prep in your step, try out a pair of boat shoes—but sneakers work too. You’re ready to start placing bets. Ready for the weekend? Schedule a Fix to line up your weekend wardrobe.